I read this book on a rare hot April day in the garden and I couldn’t put it down. It was the perfect day to be reading a book mainly set in France over the course of a few weeks in summer. The book begins with Jess in the throes of labour but unable to get a hold of the baby’s father, Adam. It seems he is unprepared for fatherhood and cannot be relied upon. Fast forward ten years and Jess and her son William are travelling to France to spend the summer with Adam. He moved there not long after William’s birth and hasn’t had much contact with him over the years. Jess’s mum is very ill in a nursing home and has asked Jess to make sure William has a relationship with his father. You, Me, Everything is a very emotional book to read. You can’t help but feel for the main character Jess with everything she has to contend with. 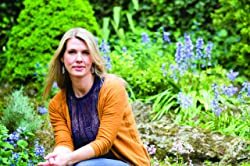 Not only has she been badly let down by her baby’s father, who she thought was the love of her life, but she has had to cope with her father’s problems and her beloved mother becoming seriously ill at a relatively young ago. It is heartbreaking to read about at times, especially as you begin to suspect exactly why she is prepared to give Adam a second chance to be a real father to William, a chance he doesn’t seem that interested in taking. This book is not all sadness and gloom though, far from it. It is also a very romantic read as the French sunshine and relaxed holiday atmosphere mean that many of the characters take a chance on love. Despite the sad parts, particularly those about Jess’s mum, it is actually a very optimistic and hopeful look at dealing with the difficulties life can throw at a family. 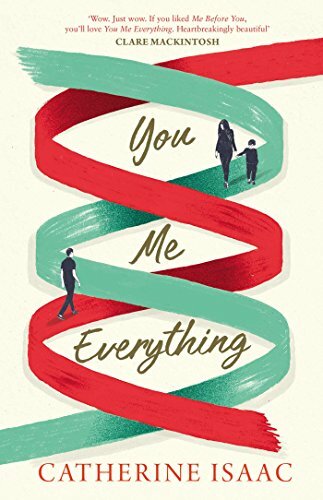 You, Me, Everything is a lovely book about finding – and taking – second chances when they are least expected, about living for the moment and making the most of every day.